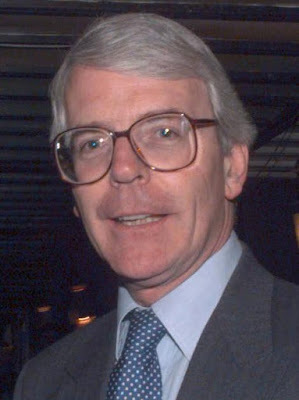 You may have seen Sir John Major on Andrew Marr's programme yesterday morning. I would have loved to have presented the show and interviewed him. Sir John insisted that the relatively warm public response to the Prime Minster's handling of the economic crisis would not last as the recession began to bite more deeply, going on to criticise measures taken by the Government so far, such as the recent cut in VAT . He said: ``The concept that Gordon Brown, who has been Chancellor for 10 years and Prime Minister for one and presided over this train wreck is the person to put right what he got wrong strikes me as being ironic to say the least. ``If a burglar has ransacked your house, you don't normally invite him back to fix the security locks. If a burglar has ransacked your house, you don't normally invite him back to fix the security locks.